We looked for the extension of the Land Conference Agreement to a Home Rule Agreement as its natural sequel———they persuaded themselves that the Land Conference Agreement, by reason of its very success, must lead to the destruction of the National Movement by divorcing a race of selfish peasant-proprietors from politics, and in that belief applied themselves to obstruct and frustrate the Agrarian Settlement itself, as a National misfortune, and to denounce as treason any extension of the Land Conference accord. Read The Irish Revolution at your leisure and help support this free Irish library. 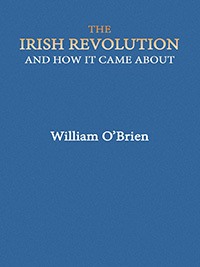 William O'Brien was a County Cork M.P. who participated in the negotiations for Home Rule in Ireland. 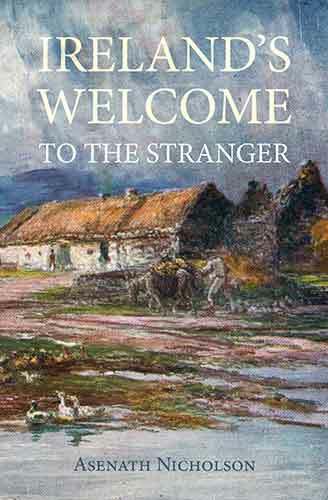 In this account, first published in 1923, he provides an insight into the politics and politicians of the time - John Redmond, John Dillon, Arthur Griffith, Sir Edward Carson, Bonar Law, Lloyd George, Winston Churchill, etc. - and gives his analysis of the origins of the Easter Rising of 1916 and the subsequent Irish Civil War. From his own perspective, O'Brien was very much anti-Partition, and was evidently frustrated at the failure to give adequate reassurance to the Northern Unionists. The ebook is available in .mobi (for Kindle), .epub (for iBooks, etc. ), and .pdf formats, and a sample PDF can be downloaded. For more information on the book see details ».